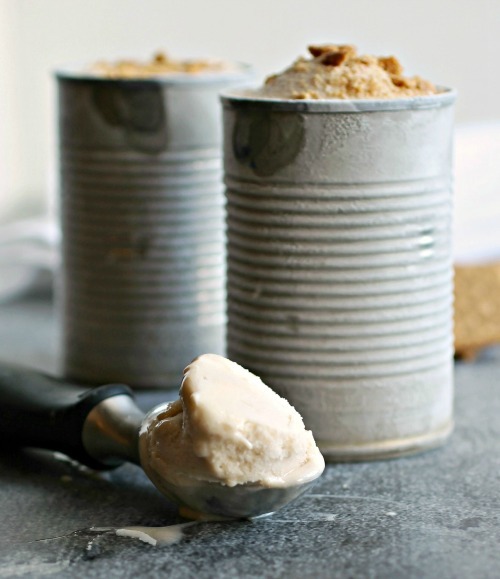 Last year I made my first no-churn ice cream using sweetened condensed milk and loved it. But somehow I thought using that same ingredient would ruin the whole healthy thing I was trying to have going on. But actually it only takes a little bit of the milk to add the proper sweetness and texture because, unlike ice cream, the bulk of the creaminess is coming from the yogurt. Success! As with other no-churn recipes I've tried, the finished fro-yo needs to sit out on the counter for a good 15 to 20 minutes to get creamy. But the result is worth it and the flavor possibilities are going to keep me busy all summer. Enjoy! If you don't normally keep frozen bananas, peel and slice them, put them in a plastic baggie and stash them in your freezer. In addition to the fro-yo, they're also a great base for smoothies and shakes. 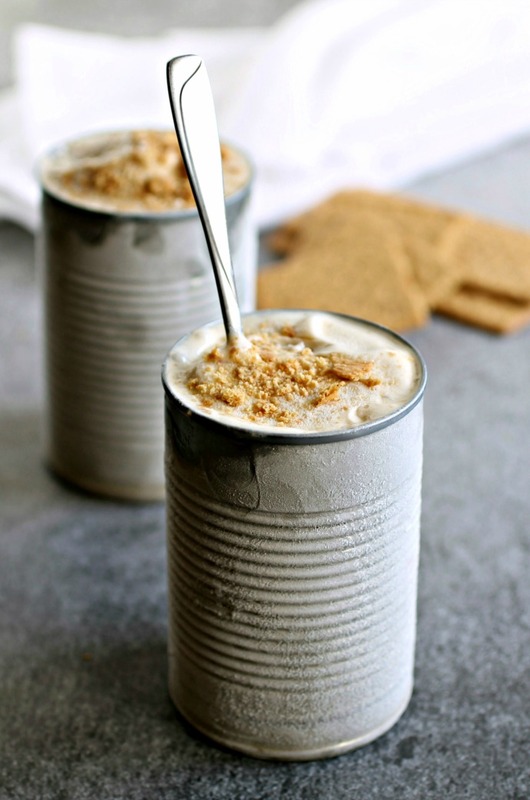 Add the frozen bananas, Greek yogurt, sweetened condensed milk, peanut butter and salt to a food processor. Puree until smooth and creamy. 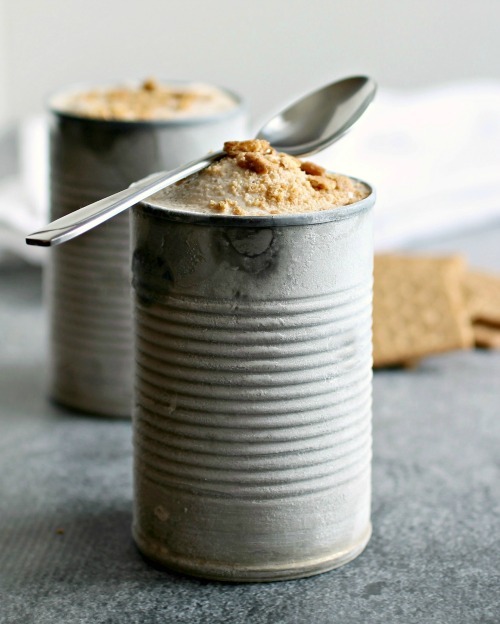 Crush the graham crackers by placing them in a plastic bag and rolling a can or rolling pin over them. If you're making individual frozen yogurt servings, as I did, stir an equal amount of crushed crackers into each serving and place in the freezer to set up. Allow the finished frozen yogurt to sit on the counter for 15-20 minutes before serving. P.S. Your photos are always gorgeous! I love bananas and also peanut butter, this is absolutely mind blowing. My mouth is watering jsut to thing about the flavors. Great pictures! these pictures are GORGEOUS! 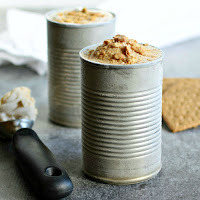 and I totally love the recipe-no churn froyoooo! yay! Is it necessery to freeze bananas before blending? I do strongly recommend it for a much better texture.